This is about two months late, but better late than never surely. 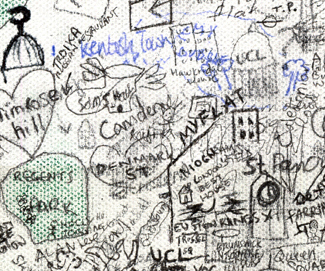 At the end of November I spent a week hanging around various places on the UCL campus with Alistair Leak (@Alistair_Leak / cartopedia.co.uk), and by the end of that week we had a collaborative hand-drawn map of London. 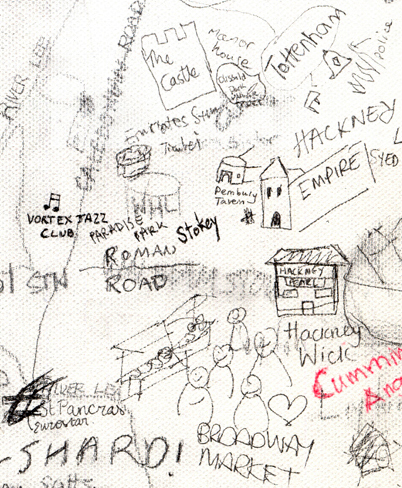 We started with a canvas that we had traced the outline of Greater London, the Thames, the Lee and a few of the larger parks on, to give people something to relate to. 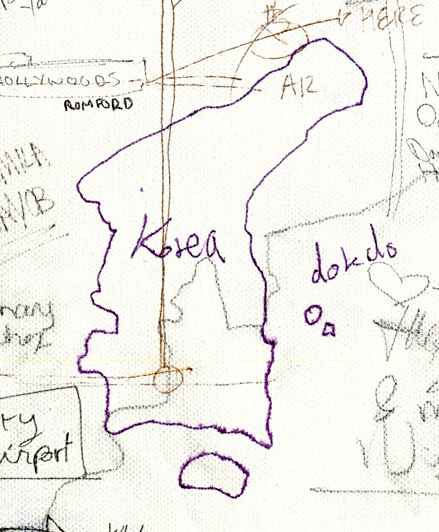 We then spent about 15 hours over the course of the week inviting passers-by to add something to the map. This could be anything we said – something famous, their favourite place, where they live, anything. The map ended up with all those things and more, including many pointers towards other countries where international students and tourists had come from. In the case of UCL we ended up with two of them. 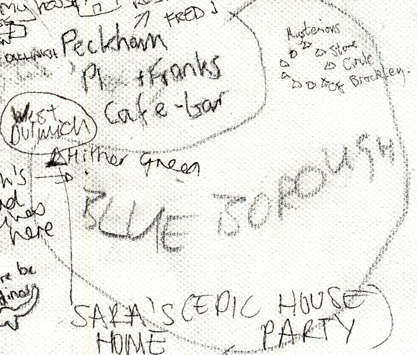 I also learnt things I didn’t know about London, like Lewisham being known as the blue borough. It’s because all the bins are blue. We’d love to do another version of the map and have been given many suggestions including at the main train stations of London or in other cities. Both are ideas we’ve thought about doing, if anyone else is interested in this please do get in touch. 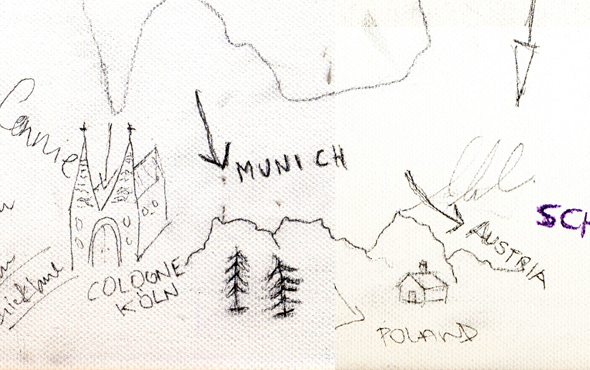 This entry was posted in hand-drawn maps and tagged #uclmaplondon, crowdmapping, hand-drawn, london, map, UCL. Bookmark the permalink. This is true, other street furniture including road signs are all blue too.